A styled photoshoot is something I’ve been wanting to do quite a while, but to be honest I’d no idea where to start. The thought of plucking up the courage to do this in the first place was immense. That dreaded panic feeling would it work would I fail would it all go wrong. Time to feel the fear and do it any way! 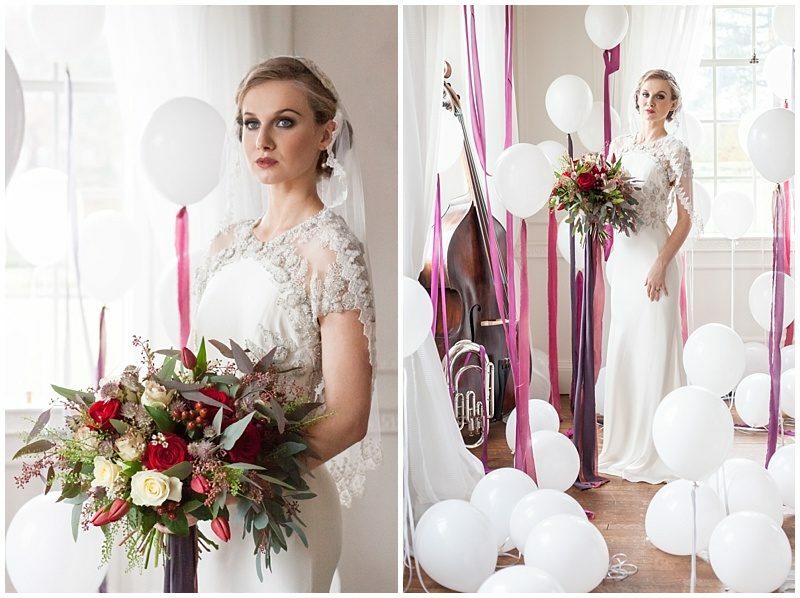 I’d recently met Kimberley who owns a new bridal shop Kimberley Anne Bridal Boutique in Swan court yard Clitheroe. I found the courage and asked if she would consider doing a style photoshoot with me. Yes was the answer! With never doing a styled photoshoot before the idea was to keep things simple. However by chance I received and email from another creative, Katie from Magpye Creative wanting to work on a styled shoot if I was planning one. It’s funny how the universe pulls things together. Everything started to take shape. A meeting was held at Kimberley Annes boutique, a modern 20’s Gatsby style was developed. However keeping it fresh light and modern, steering away from the traditional black and gold colours. I have to say, things escalated on discovering if I wished for the styled shoot to be published in a wedding magazine I needed details… More details lots more details. So with a venue Eaves Hall and a date already booked there wasn’t a lot of time to spare. 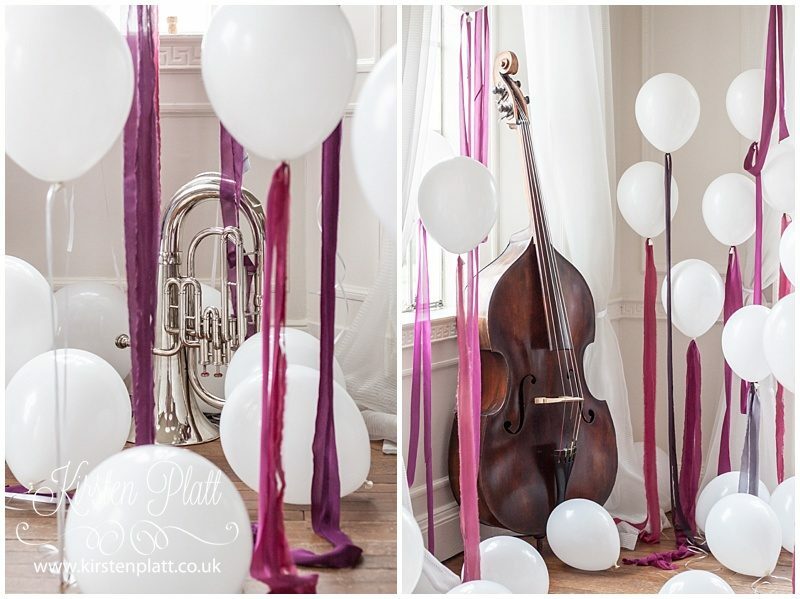 Beautiful silk ribbon hand dyed by Sophie at Pompom blossoms , tied to the balloons. 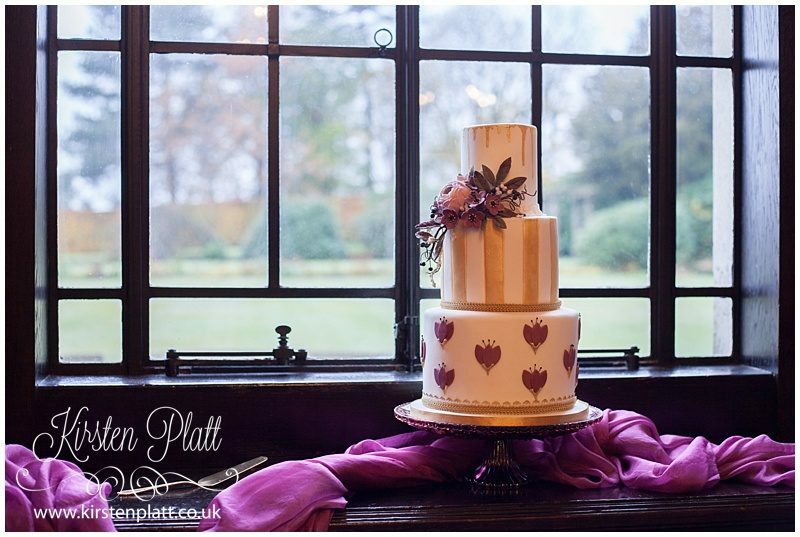 A cake specially designed and created to match the colour and theme by Maria from Maria Dobson Cakes. 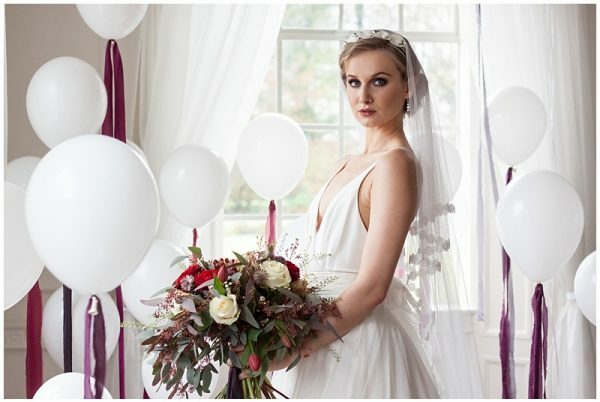 Delicate vintage hand made wedding veils by Jen at Jennifer Levet Millinery.. Flowers such a beautiful bouquet that fit the theme perfectly were created by the lovely ladies from Voila. Invitations also needed and Jacqui from Print for Love stepped up and created the perfect letterpress save the date and invitations I couldn’t have wished for anything better. Also the Bride and Groom Signs created by Clare from Bespoke and Oak. Things were coming along very nicely. Of course not everything goes smoothly when doing a styled photoshoot and there were a couple of hiccups well learning curves along the way. At the last hurdle we needed a new model, hairdresser and makeup artist. Kimberly found the perfect model Anita Cannon who also creates her own jewellery at Earth Links. Hairdresser Kellie Hughes managed to find an early appointment for Anita’s hair it was perfect. 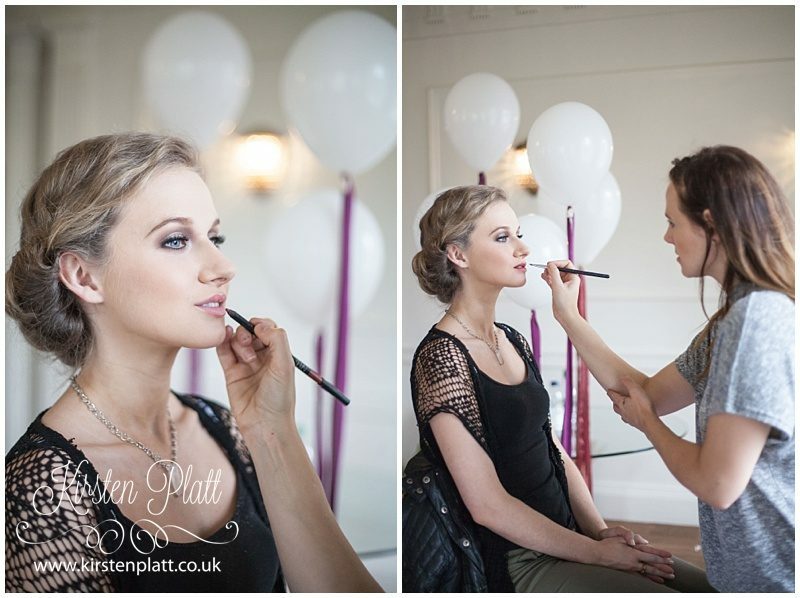 Last but certainly not least Kaye form Hair & Makeup by Kaye Hirst changed arrangements and made time work her magic with the makeup. On the day anyone that could chipped in and helped it really was an amazing experience … Plus a bit of blind panic too. Anita had already been to the hairdressers and was ready for Kaye to start makeup. A subtle nod to the Jazz music of the era. 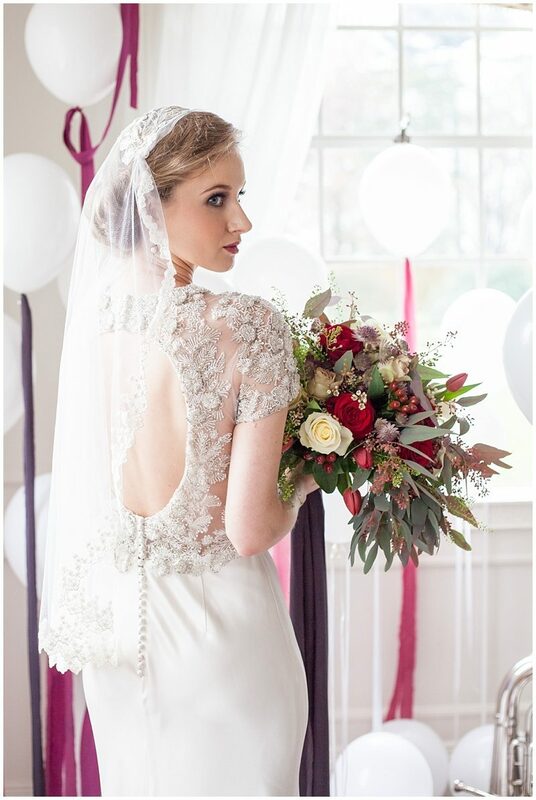 This stunning dress is by Catherine Deane -called Abigail. 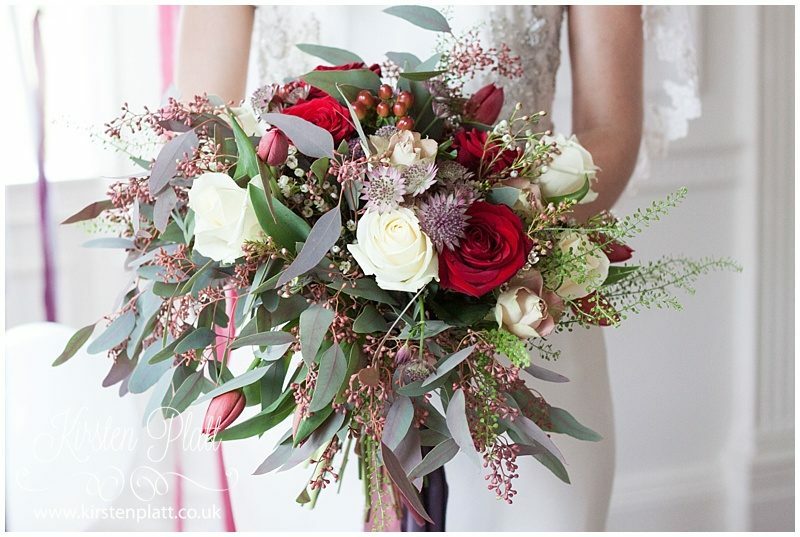 This gorgeous loose tied wedding bouquet by Voila Florist. Hand dyed silk ribbons by Pompom Blossom in luscious colours. A quick dress change this one is by Sassi Holford -called Darcy. Calla lily headband by Jenifer Levette. 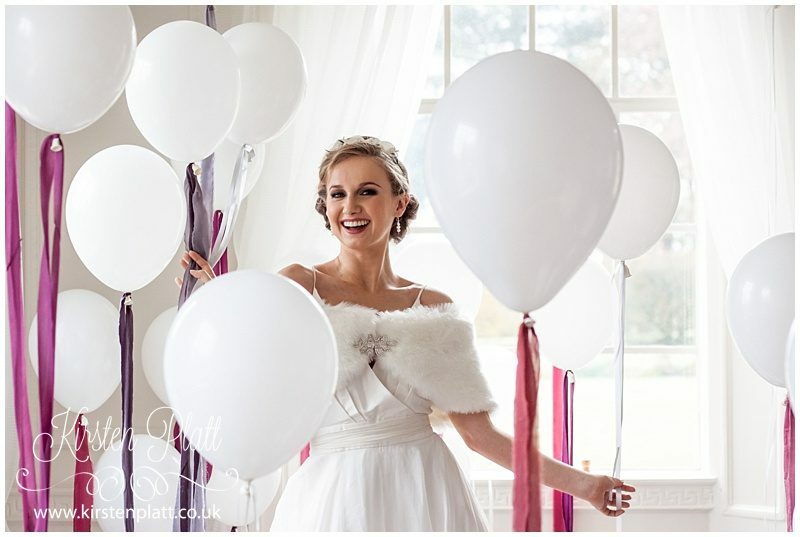 Love the way Anita our model could change her moods in a flash from model face to happy. 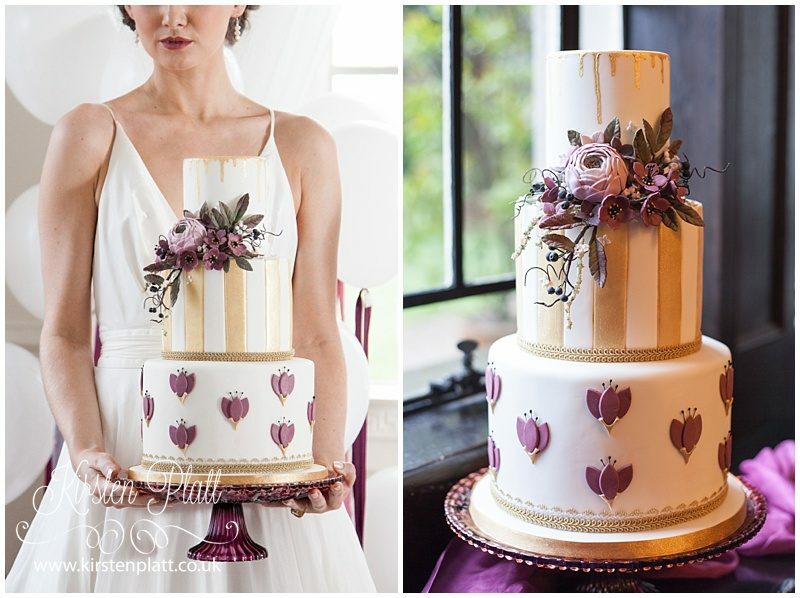 Two different looks for this stunning cake by Maria Dobson. 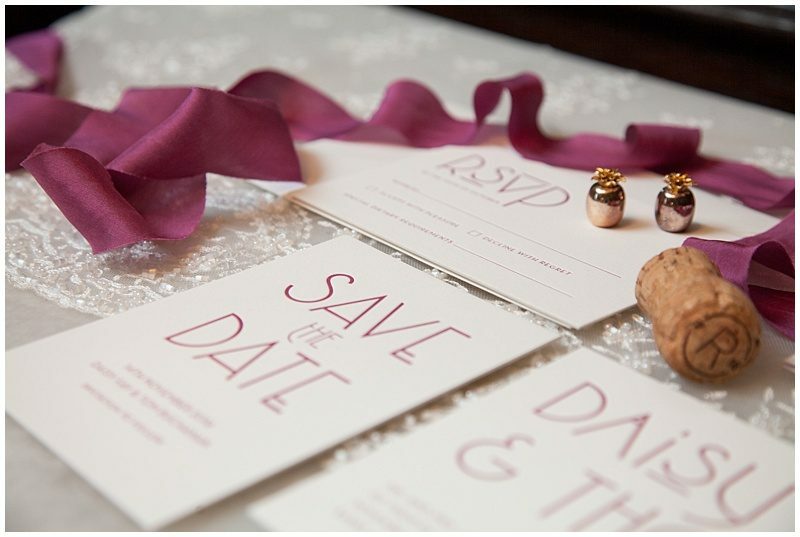 Jacqui from Print for the love nailed the invites perfect style and colour. The styling by Magpye Creative… just fabulous! 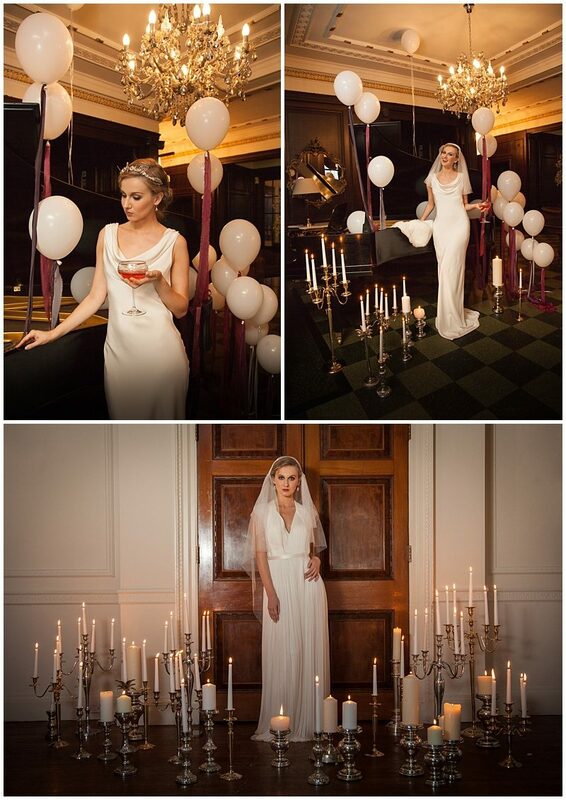 This dress from Kimberly Anne Bridal Boutique designed by Catherine Deane -called Laverne. Another beautiful dress designed by Sabina Motasem – called Josephine. 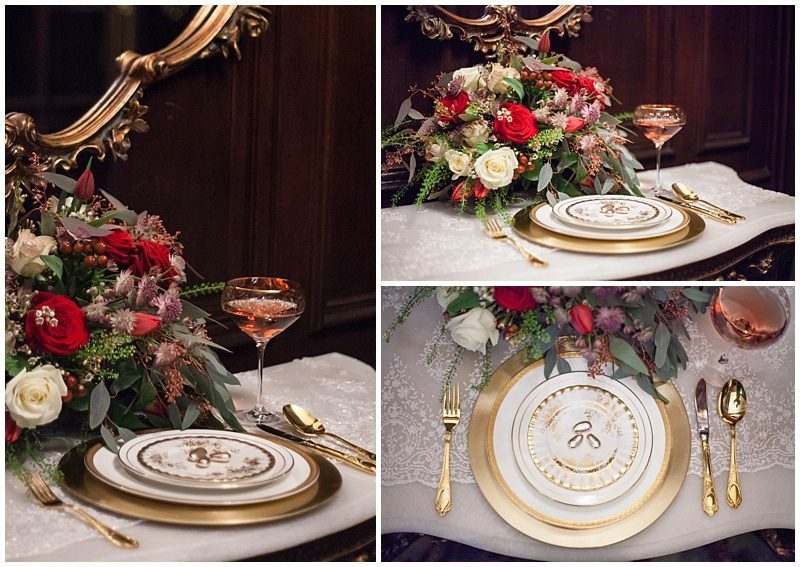 Three pages in the Wedding ideas magazine… thrilled to pieces … Thanks to everyone who gave up so much time and creative expertise to make all this come together!